Mobile devices are changing the way we communicate, the way we learn and the way we do business and marketing. Leverage the use of mobile applications to build a productive workforce which can work from anywhere, anytime. A workforce which can get access to real time data for better informed decisions. You can also cut down costs by empowering your staff to deliver more effectively. Your customers are going mobile. Are you? Harness the power of smartphones and tablets to reach out to your customers in innovative ways. Showcase your products and services to an audience of millions of users. Join the mobile revolution now! Knowledge7 has a team of experienced and talented developers capable of creating high quality mobile and tablet applications for both Android and iPhone/iPad. You have a great idea for a mobile app? We can help you bring it to life. The sky is the limit! 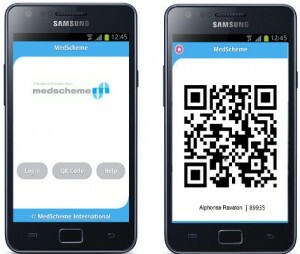 These applications, developed for MedScheme International, allow people to go to a pharmacy with their prescription and get immediate reimbursement from their insurance company i.e. they only pay the difference. One app is for the client and one for the pharmacist so that he/she can query the insurance company in real-time and with full security. This application allows you to link “easy-to-remember” tags to your favourite places. 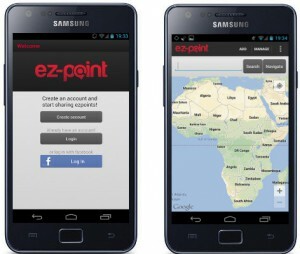 You can find your favourite places, link them to your profile with an EZ-Point and share your EZ-Points with others. This application was developed for Edendale to market Anchor products. 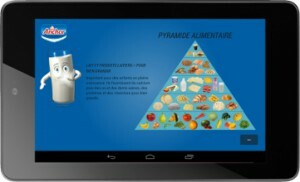 It is a game-like application which shows you examples of balanced diets and allows you to create your own balanced diet from a list of food items provided. This application is for students taking Business Studies. It contains answers to essay type questions of A’Level exam papers and allows students to easily browse through the various parts of the questions. 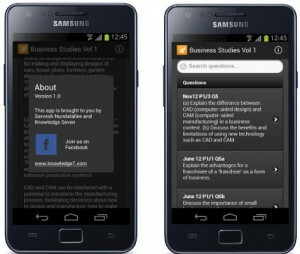 The aim of the app is to allow students to prepare for their exams on the go. This project has been completed in collaboration with Sarvesh Nundalallee, a Business Studies teacher. Are you interested in having your mobile application?